Publication Day survival and contest news!!!! before that I love meeting my readers and it's just so true. For so many years of this career I was a recluse. To meet so many of you at Third Place Books in Seattle was a blast. And standing room only! I'm so sorry they ran out of books. But before I talk more about me, I know you want to hear about YOU. You want to know who won the contest. I should have announced it yesterday, and I'm sorry I didn't. I fell into the getting-ready-to-tour pit and couldn't get up. Without further ado, the winners of the NIGHT ROAD advance reading copies are: ANITA, KARI SIMONSON, and TRACY LYNN HALL. I know I said there would only be one winner, but I am simply so touched by all of you who stick it out with me on this blog, that I am giving away almost everything I have. :) ENJOY. Please contact Kim Fisk on my website and put contest winner in the subject line. She'll make sure you get your copy. She's MUCH more organized than I am. Now, I guess I need to get moving. :) I have to put the finishing touches on my packing--btw what is this with the changeable weather? I'm packing for spring, I'm packing for winter...snow...sun...snow...sun. This is not an easy thing when you are determined to travel with a single carry on bag. And I am. If I could do Italy for a month and Africa for five weeks with one carry on bag, certainly I can tour for a few weeks with one. The biggest problem is the shoes, but I'm sure I'll figure it out. :) Again, I hope to meet as many of you as possible. You know you can check the tour schedule on my website. KristinHannah.com. Hope to see you! Last but not least, I'd love to know where you're finding Night Road, where it's available in your town, so let me know. Girls night tonight with Mom starts with a trip to Barnes and Noble to pick up Night Road! Then starting my trek to Dallas Friday evening!! I am so excited!! Thank you so much Kristin for your generosity. I can't wait to read and review Night Road. I'm still looking for contact information on Kim Fisk on the website.....but I'll find it!! Safe travels, wish I was closer than 8 hours from Atlanta, and just so you are aware, Florida is beautiful right now!! Congratulations, Anita, Kari and Tracy Anne. I know you are going to loooooooove Night Road. Such am amazing book (but then, all of Kristin's are!!). When you have a moment please send me your snail mail addy to fiskfamily@embarqmail.com. Tonight's the night !!! YAY! Can't wait to see you at the pre-event, and B&N! Good luck on the tour! I know where I'm not finding Night Road - my house. I preordered and then noticed the price went way down so I cancelled my order and ordered again, but I guess I forgot that second step. I went back through my orders and never actually ordered so I bought online today. I probably could have gone out at lunch today though. Either way, I'll get it before this weekend when I plan to read. Bridal shower and bachelorette party are over as of Sunday so I'm reading to read again. :) I'll have time to finish Bridge to Happiness by Jill Barnett and, by the time I finished, Night Road should be delivered. I just finished reading Firefly Lane... you have a new fan! I didn't want that book to end. I grew up in that era, but in Allentown, PA, a much different area, but it brought back so many memories. I am in Bellevue now. Going to buy True Colors and Night Road next. Wee-hooooo!!! !Thank you, thank you, thank you! We (hubby and I) were at Barnes and Noble last weekend and I spotted this near the entrance so I had to run and touch it. The dedication alone made me cry and I hated returning it to the display stand but was committed to saving for our little mini-vacation that starts tomorrow. So I'm totally stoked (old high school favorite; means "excited"--kind of like stoking a fire, I've always imagined,--all that energy to burn) Thank you for the book Kristin and for shipping it Kim! Know what you mean about the shoes--they just don't pack well at all--"Wear the snow boots, pack the sandals", that's my motto. High heels? Sorry. I gave up the unsensible (sp?) big girl shoes when I actually became one (and when they started charging for luggage). Have a fabulous trip with showers of all the adulation you deserve! Been a looooong while since I commented on this blog, but I just finished Night Road and I figured I couldn't go to sleep without telling you how I liked it. First of all, since I'm in Belgium I couldn't get it on the day it was released to the stores, but I ordered it online (www.bookdepository.com) and I got it on the 25th. I actually thought that was pretty fast, even though I really did hope until the last minute that it would arrive here on the 22nd, because I ordered a second copy for someone who's birthday is on the 22nd. I actually saw her on the 23rd, so even if it had been a day late, it would have been perfect, but no such luck! I'm seeing her again tomorrow, though, and that's when she's gonna get it. In the mean time, I enjoyed reading my own copy. So much so that for the last 2 days I decided NOT to read anymore. The reason behind this might sound a bit crazy, but... I just didn't want the story to end yet. I guess that makes me kinda like Jude, the character in the book that I did identify with anyway. I too find it really hard to say goodbye. I do hope there's a bit of a Lexi in me too, though, and I also recognize some of Mia's characteristics. I just shake my head to all the troubles alcohol can cause, cuz I've never seen the attraction of it. Anyways... when's the next book coming out? lol. I'm kinda at a loss now. I have a book case with about 80 or so unread books and I still have some on my "want to read"-list, so I don't really know what I'm talking about, but I just don't know what kinda book I'll find to read after this that'll measure up somewhat. I predict sky high scores on the New York Times Bestseller lists. Already rocketing up to #5 position, I noticed! First of all..I found my book at (dare I say) Borders love my Borders. Secondly...I love all your books..and Night Road was no different, however, I will admit I had so many emotions with this book. I really wanted to hate it because of Jude..I was so angry with her! I realize she had a tough thing to move through and who knows? maybe I would react the same way. I felt angry, happy, sad, (oh,I cried several times) I laughed and I just loved the book! Thanks for sharing this story! Kristin. Hi from Michelle. It was such a thrill meeting you and Kim yesterday and I'm still smiling. So my mom told you about my sis, hmm? I'm just so glad she gave Life and we're blessed with Little Dayana. Just finished NIGHT ROAD and loved it as much as I've loved every one of your novels. You are such an extraordinarily talented writer, Kristin, and all of your stories have so much heart and soul. Now that I've read all of your books, I will be at a loss for a while. I'm a horrible fan. I totally haven't read the book yet. I had a minor nightmare ordering the book, all my fault. I thought I forgot to order but I ended up ordering like 3 copies so I cancelled the orders and luckily only one arrived but it arrived all chewed up so I had to go to the store anyway to exchange it. Anyway, I was crazy busy in March so I finally got around to reading it today. I ended up finding the harcover pretty inexpensively so I bought the ebook as well to read on my new nook (boy broke my old one accidentally). I've heard only amazing things about the book and can't wait to read it. I have a light weekend coming up so I'm hoping to breeze right through it - gonna get my tissues ready. Last night in a bout of insomnia, I got up and downloaded some novel samples on my Kindle. One was boring, one confusing, and another had no discernible plot. I was about to give up until I struck a vein of gold--Night Road. Great writing. Definitely going to download the novel. I finished Night Road yesterday. Great writing, per usual, but difficult subject matter to read. It's a 3 hanky book, to be sure. Very thought provoking. Just finished Firefly Lane and still can't get it out of my head. One of the best books I ever read. Found myself sneaking it on my desk at work. I grew up during that time, the songs, the outfits, the way of life, it was me all over again. All of my favorite authors I am waiting for their next book to come out because i read them all, and then I found you! I am so excited there is a list of books I will now be reading! You are my new favorite author! I am trying to decide what to read next! I have never posted anything on the net before but i found this site and just had to say how much i loved Night Road..awesome writing. read it in two days.. .one of those books you can't put down or want it to end..your best book so far. Glamour Girls Lit Society book club was a winner of Night Road! This book was your best book I've read thus far. Thank you for continuing to bring so many emotions and intimate connections to your readers! I read you book Night Road with my book club (La Crescenta book club and Chocolate) that we received through a drawing that readinggroupguides.com had. I couldn't put it down. I took it on a trip with me thinking it would be a good fluff book, but found myself crying the entire time I read it. I really related to the characters and felt you did a wonderful job portraying them. Great moral in the book for kids and moms alike. The Detecting Women Book Group at the Chester Senior Center in Chester, PA really enjoyed Night Road. We explored a lot of moral questions raised by the book, from how to parent twins to be independent, to how to overcome grief and be there for the rest of your surviving family. Everyone truly admired Lexi for her maturity and honesty, yet were still angry with her of giving up so much of her life. Jude infuriated us the most as overly involved in her children and unable to love after a loss. One book club member began an interesting discussion of the book cover – most of the members thought that the cover made the book seem like it would be dark and mysterious. We didn’t feel that it fit the story very closely. We were lucky enough to win copies of the books through RadingGroupGuide.com. Night Road provided us with quite the lively discussion – thank you! Hi Kristin! My bookgroup had our meeting on Thursday and what a lively meeting it was. Night Road was such an awesome book. The story was difficult to read, but one that makes any parent give pause to their parenting skills. I have teenage children and now think differently about how I would have handled the WHOLE situation. I probably would have been just like Jude the first time the kids came home drunk and reprimanded them. Night Road has made me see things in another way. I told my children the story at diner and my son, who is a senior in high school, said he thinks Night Road should be required reading. I could not agree with him more. Thank-you for such an insightful book. Our book club, Bookbabes from Fargo, ND was chosen to read Night Road as winners of a contest we entered. It provided a very lively discussion. We discovered that many emotions from how we were raised as teenagers verus how we raised our teenagers resulted in some very judgemental statements to very defensive ones to the conclusion that none of us know exactly how we would have reacted if Mia had been our teenager. Much discussion on Jude's past to her reactions with her children and empathy for Lexi for how she faced her consequences of that night. It should be noted that our club are memeber who have worked in psychiatry for years. We all agreed this is an exellent book for clubs to read, plus for parents of teenagers to provide framework for discussing dirinking and driving with their teenagers. Continued success to Kirstin Hannah, looking forward to reading her newest novel. What a fantastic read! As a parent, this is one of my greatest fears for my children. I gave it to my daughter to read and she finished in overnight. We have had many wonderful heartfelt conversations since then. No "lecture" I could have ever given her would have made such an impact. Thank You! 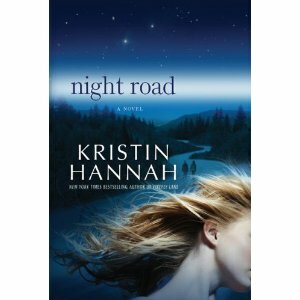 "Night Road" is my very first Kristin Hannah book. I have to say that I could not put this book down. I actually stayed up all night and read it. Your writing style is amazing! I know that this won't be my last Kristin Hannah book. It made me laugh and certainly made me cry. Thanks for the "good read"! Our book club (The Pageturners) won copies of Night Road in the readinggroupguides contest. We could identify with Jude. As mothers, we know the conflict between letting our children find their own way in life, and yet wanting to protect them. Learning we can't protect them from all the dangers they could face is a difficult lesson for any mother. Interesting relationships between the characters. We discussed this book in our book club. I think we all enjoyed the book. Our book club, The Reading Club @ 108 West Hudson met on Tuesday, Feb8 &th to discuss Night Road and what a great meeting we had! The eleven members who were in attendance used the discussion questions from readinggroupguides.com to dissect the book and everyone had a great time! For some of us, this was the first Kristin Hannah book we read, but we certainly will be reading more in the future. Our book club read Night Road and discussed it today. Every parent of teenagers should read this book. Just when we think our parenting is right on, we are challenged again. We are all products of our upbringing, and this will contribute to the parenting we do. I was caught up in the lives of these characters, and I cried my eyes out. Our book club just read and did discussion questions of this book. We felt this was a realistic presentation. We discussed how controlling Jude was in her parenting. This was my second book by Kirstin Hannah. I liked the way the author portrayed Jude's grief and how she eventually overcame it. It was good example of teenage drinking/driving. First book read in years and tears were streaming. A book will never forget. It made me wonder what I would have done. The fact that Lexie went to prison was so unfair but she survived and was not bitter. Her daughter was her main concern. The courage it took to face Jude and fight for her daughter. The fact that she told Jude she was a good mother. I read this book as part of a book club. I did enjoy the book but felt the ending was rushed to so conclusion. I would however recommend the book as one parents should read with their children. It was a powerful book about the relationships between a mother and her children and the relationships between her children. Tonight, our book club met to discuss Night Road. We had a lot to celebrate! Tonight was our 50th book club meeting, it was the first book we've ever won as a group, and we welcomed 3 new women to join us! While enjoying cake and champagne, our group discussed everything from the emotions of the characters, the believability of the situations, to the morals and ethics of underage drinking. Many of our members have teenage children so they were quick to talk about the "what ifs" as well as compare the storyline in Night Road to the teenage parties that are rumored to be going on in our local area. While the story of Lexi, Zack, and Mia was quick and easy to read, we all agreed that when Jude became more human, the story became even more interesting. Our discussions all ended with the theme of self-fulfilling prophecy through the book. This was true of both Jude and Lexi. Lexi ended up being like her mother, in trouble, in jail, quickly accepting this fate. Jude ended up being like her mother as well, having difficulty loving after the loss of a loved one. As hard as she tried to be anything but her own mother, Jude's treatment of her granddaughter mimicked the treatment she received from her own mother. We all enjoyed the book. Thank you so much for the free copies! The IE Book Club in SoCal elected to read Night Road and I just finished it at about 1:30 this morning. Such a sad story, but oh so compelling! Thank you! I just finnished reading this book and let me tell you I just started it too. Usually it takes me so long to finnish a book but this one I simply just couldn't put down. I'm from Sweden and I'm not sure if your book is avalable here. I got Night Road from my mom who lives in the states. She also gave me Winters Garden so I'm guessing I'll have a few more sleepless nights ahead of me. Thank you Kristin for the wonderful words of feelings you've put into this book.